In September of last year we announced that Clayton Food Tours had partnered with the Johnston County Visitors Bureau to offer a new Beer, Wine, Shine & Dine Tour as a guided tour of the Beer, Wine, and Shine Trail with lunch. It&apos;s a great way to explore the trail while letting someone else do the driving! Much to the delight of attendees, the November inaugural tour was a huge success. So, cheers to that! The Beer, Wine and Shine Trail currently has 2 craft breweries, 2 family-owned wineries, and one moonshine distillery. Johnston County is conveniently located to I-40, I-95, and the Triangle area. So if you&apos;re a local or a visitor, the tour can be a great way to extend your exploration of Raleigh breweries, wineries, and distilleries. Due to travel time and allowing for ample time to tour and taste at locations, each tour will involve only one winery, one brewery and the distillery along the trail. 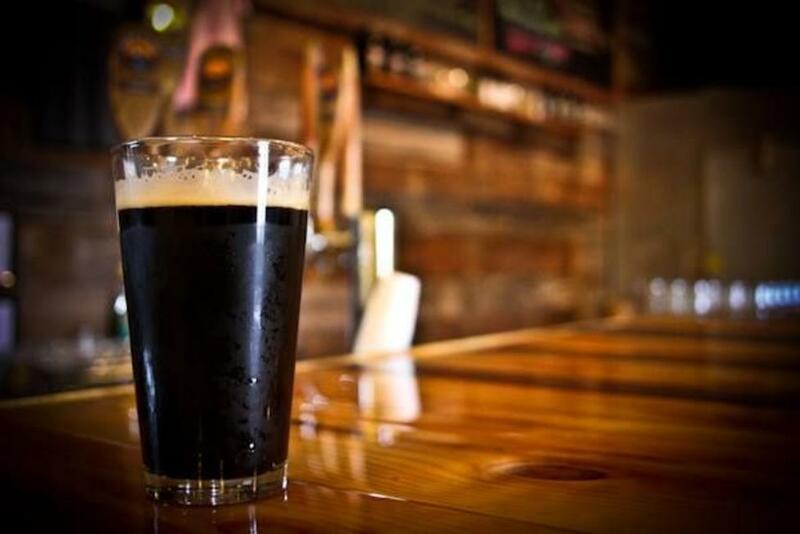 This will be an exciting and relaxing way to enjoy Johnston County’s growing beverage scene. This tour is great for couples and friend groups celebrating special occasions. The spectacular news is that the 2016 tour dates have been released! The first tour, offered on March 19th, will include Hinnant Winery, Double Barley Brewing and Broadslab Distillery. Lunch is to be provided by Simple Twist located in downtown Smithfield. The motorcoach will depart at 11:00am from Double Barley Brewing, where the tour will end at 5:00pm. There is ample parking around the back of the brewery where participants can safely leave their car. It is recommended that you arrive at least 15 minutes early to check-in. The cost is $89 per person. Welcome bags will be provided by the Johnston County Visitors Bureau. Space is limited, so call (919) 585-4498 today to reserve your spot. 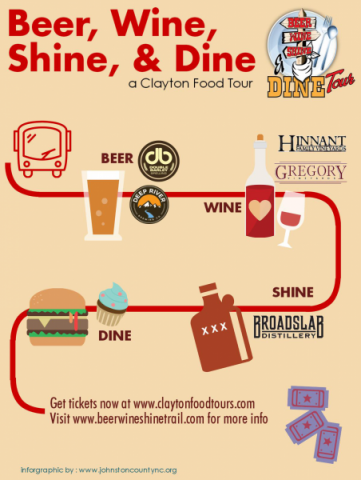 You may visit the Clayton Food Tour website to purchase your tickets. If you would like to explore more of the trail on your own, or share it with your friends, more information and a map is available on the Beer, Wine, and Shine Trail website.